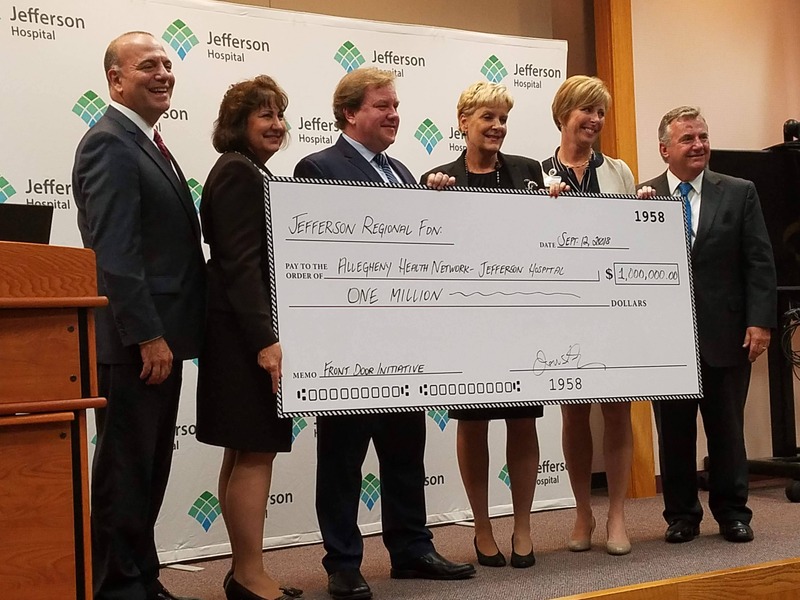 A $1 million grant from the Jefferson Regional Foundation to Allegheny Health Network’s Jefferson Hospital will help address these and other “social determinants of health” for patients who visit the hospital’s emergency department. Hospital, foundation and AHN officials announced the grant — the single largest the foundation has given out — at an event Wednesday at the hospital. Jefferson’s emergency department treats more than 50,000 patients annually, and many struggle with socioeconomic challenges that can impact their health, said Richard Sullivan, director of Jefferson’s Department of Emergency Medicine. The hospital serves South Hills and lower Mon Valley communities. The grant will pay for an assessment of community needs, working with partners on developing a “front door” plan, a data system, and education for staff. “We want to make sure [patients] have all the resources when they are discharged to be successful at home,” said Dr. Sullivan. AHN President and CEO Cynthia Hundorfean said if the program is successful, it could expand to other parts of the healthcare system. “There’s going to be a lot of people watching what we do with this,” she said. 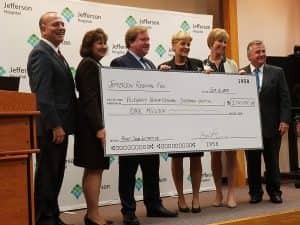 The Jefferson Regional Foundation aims to improve the health of the community served by Jefferson Hospital; the foundation was re-chartered as part of an agreement with Highmark Inc. when the hospital affiliated with Allegheny Health Network in 2013.